This is the time of year we celebrate Irish art: the literature, poetry and plays by celebrated writers such as W.B. Yeats, Frank McCourt, James Joyce, Sean O’Casey, Oscar Wilde, and Samuel Beckett, as well as the Irish contributions to film and screenwriting. For a small country, the Irish are incredibly well-traveled and have a presence all over the globe after centuries of immigration. It is no surprise, then, that one of the most common themes of Irish film is immigration, a theme that defined a generation in both Ireland and America. 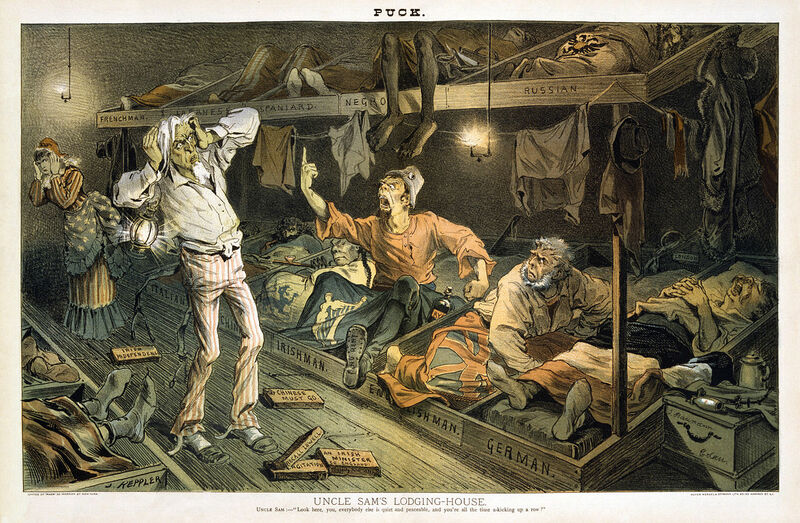 For decades the young people of Ireland crossed the Atlantic and romanticized the “Land of Opportunity.” The theme continues to be relevant to an American audience as well, thousands of whom see their ancestors in these Irish immigrants. 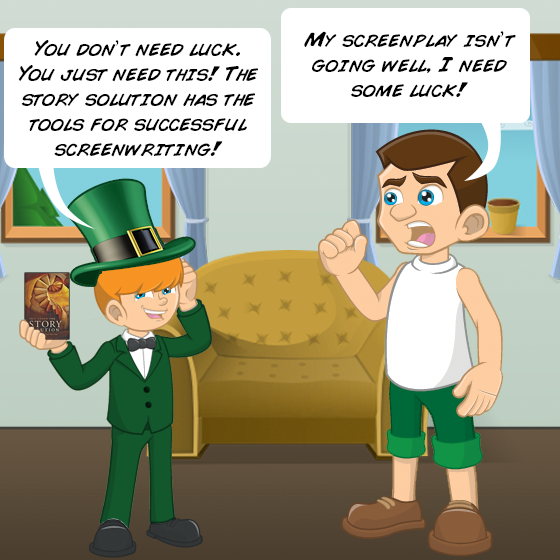 A screenplay writer’s goal is to make the audience see themselves in the characters on the screen, using themes that are relatable for audiences across generations, and the theme of immigration utilized in Irish movies accomplishes this as it continues to be relevant to audiences over many years and age-groups. The stories of immigrants are of people fighting to make their way in life and overcoming hardship, often in a world that seems unfair. Included in these stories is the idea of “starting over,” leaving everything behind to begin a new life from scratch. Audiences sympathize with these struggles and relate them to their own hardships. One of the classic Irish movies featuring the theme of the immigration experience is Far and Away. It tells a story about adjusting to the rough life of immigrants in America and the struggle between working long hours for meager wages and being at the mercy of the local Irish mobsters. 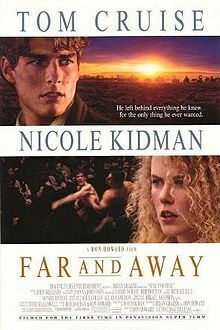 Far and Away also features elements of class struggle, as immigrants found themselves in a new culture with different rules, and viewers see the societal roles change between the two central characters. Through these conflicts, the problems of immigration – finding work, dealing with corruption, and integrating into a new place – are highlighted, and these struggles resonate with audiences who see in them their own experiences of dealing with the injustices of life. A major element of the Irish immigration theme introduced in Far and Away but explored further in other movies is gang life. Irishmen (and other immigrant groups) were at the bottom of the ladder, and joining established Irish gangs was a way to come up in the community quickly, especially when the mobsters offered lucrative employment opportunities and more money than the meager wages of hard-labor factory jobs. Gangs were also a form of protection against racism and targeting from other immigrant groups or “locals.” Gangs of New York is a classic example, as the Butcher, the Native played by Daniel Day Lewis, brutally controls the immigrant groups. The movie tells the story of the rough existence greeting many Irish in New York living in the infamous Five Points area. Gangs of New York shows the harsh reality of life for new immigrants trying to establish themselves, as well as the hierarchies and factions within these different immigrant groups that often made it impossible for immigrants to remain disconnected from gang life. Irish immigration movies are a perfect example of what makes a movie theme successful. They tell stories of people who were willing to start from scratch, risking everything they had to improve their lives, and eventually overcoming the problems that plagued them to achieve a better life. Audiences sympathize with the characters as they experience struggles of being alone and trying to navigate through a strange new world. The ultimate message of these immigration films is that even though life can pull you down and your situation may at times seem hopeless, there’s always a way out if you keep trying, and that is a theme that can inspire any generation. In the end, their triumphs give us hope for our triumphs, and that makes it a strong and lasting theme. Additional movies dealing with the theme of immigration struggles are In America, Beyond the Pale and Angela’s Ashes, Kill the Irishman, The Departed, and State of Grace. Q: Are there any famous Irish actors I would know? A: There are many Irish actors in Hollywood, some you may not even realize hail from the Emerald Isle. They include Daniel Day Lewis, Saoirse Ronan, Fionnula Flanagan, Liam Neeson, Colin Farrell, Maureen O’Sullivan, Cillian Murphy, Pierce Brosnan, Michael Gambon, and Brendan Gleeson. Q: Are there Irish immigration movies that focus on a romance theme? 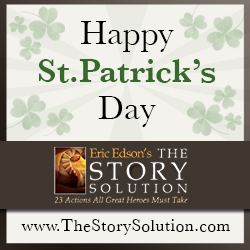 Q: I would like to watch an Irish film on St. Patrick’s Day. Can you recommend one? A: One movie that received critical acclaim is Once, an independent movie about a man from Dublin and a Czech immigrant who make an album together. The soundtrack to the movie was nominated for a Grammy Award, and the song Falling Slowly won the 2007 Academy Award for Best Original Song. The movie has now been adapted into a Broadway musical. *Want more posts like these? Subscribe to get blogs as they happen or as a weekly digest.